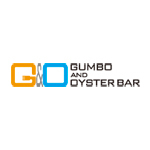 A stylish restaurant where you can enjoy casual dining with the finest oysters selected from oyster producing areas around the world which you can order from 1 piece. Oysters, which are also known as "the milk of the sea", are low calorie and filled with nutrients. We even made it the name of our shop. Please enjoy them along with "Gumbo", which is a stewed dish typical of the American south.